1998 Osprey 21 Fisherman Pilothouse Fishing Boat 21' . 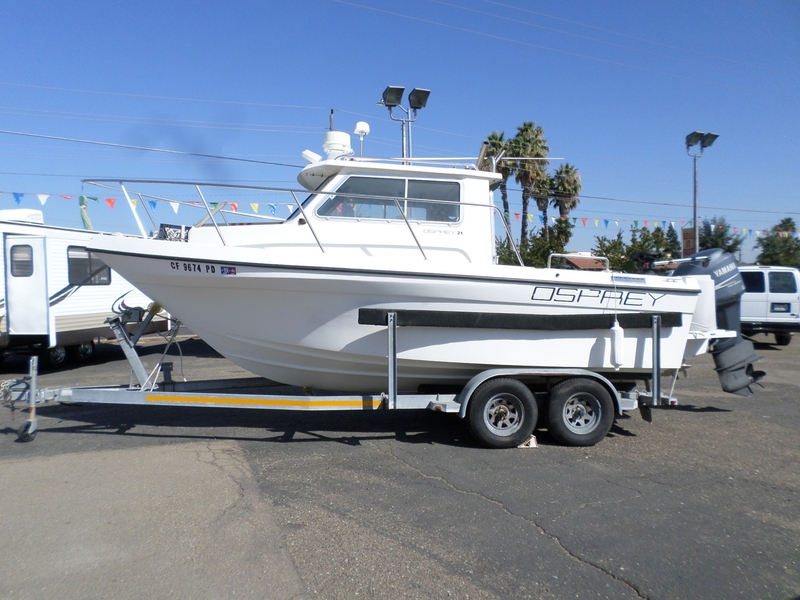 . .
2008 Yamaha 250 outboard, pilothouse fishing boat, full walk around deck, trim tabs, interior grab rails, hardtop with 10 rocket launchers, LED lightbar, dinette w/storage, Scotty downriggers, GPS, Lowrance Fishfinder, new seat covers, 2014 Yamaha 9.9hp kicker, live well, locking cabin, well maintained and serviced.